This beautiful necklace from Daisy London is made of Sterling Silver. 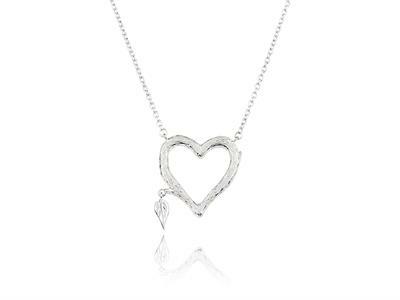 The heart design appears to be crafted out of bark with a fabulous hanging leaf to complete this natural inspired romantic necklace. The heart measures 20mm x 20mm and the leaf is 7mm in length.